Next week the spotlight of the video game industry will be focused on the Game Developers Conference in San Francisco, an annual event since 1988, hosts lectures, workshops and round tables devoted entirely to insiders and to the world of development. This year’s edition will open its doors on Monday 18 march and will continue until 22 march, by hosting a calendar, probably, never so full of interesting ideas and worthy of interest for the experts and not only. The topic is more hot is definitely one of the drop-down in field of Google, march 19, will officially present his first console, very probably based on cloud technology. There will be also space for other issues such as the mobile segment, while Microsoft is waiting for some announcement related to the expansion of its services. In the edition of 2019 will be back in the scene, theIndependent Game Festival market-oriented indie and Choice Awards with regard to triple A titles, but for the second consecutive year, was hosted by the GDC Film Festival, a parallel event to the world of cinema and gaming meet to talk about interesting topics related to the development and more in general to the gaming industry. The events dedicated to this area of the festival will be staged at the Yerba Buena Center for the Arts Screening Room, adjacent to the Moscone Center. 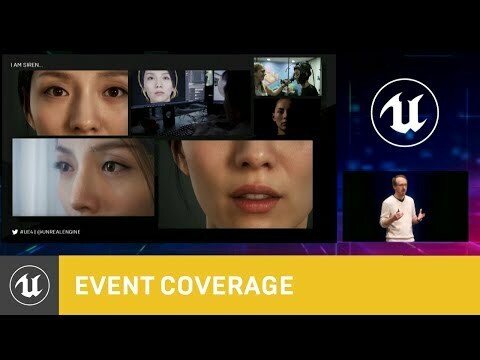 Sponsored this year by Steam, the Film Festival will propose a series of projections are freely accessible to all pass holders of the GDC 2019. In the days of 18, 19 and 20 march will be therefore screened a selection of interesting documentaries involving well-known faces and lesser-known in the industry. Exactly as it had happened in the inaugural edition of twelve months ago, the meetings will also include some question and answer sessions with the filmmakers involved. Let us then sketch an overview of the topics that are the subject of debate. Before proceeding we remind you that for all of the details and general information on the GDC 2019 you can find online our practice ultimate guide. The appointments of the GDC Film FestivalOn Monday 18 march will be broadcast the documentary titled “We Are Alright”, shot by the Russian director Borys Niespielak. The movie tells the stories of Bartek and Rafal, the two guys who decided to give life to their first game, titled Lightspeer. The shots follow the two developers in the last few months of machining of the work, focusing on the difficulties faced in order to obtain the publication on the platforms of PlayStation, the excitement of the launch and attempts to get noticed by the influencers who populate YouTube from the specialist press international. We will proceed to Ebb and Flow, an interesting documentary on the development shot from Archipel, which sees the participation of many authors of japanese videogames. Personality of the calibre of Tetsuya Mizuguchi (Rez: Infinite, Tetris Effect), Yoko Taro (If: Automata), Katsura Hashino (Persona 5), Toshihiro Nagoshi (Yakuza 6), Koshi Kakanishi (Resident Evil 7), Yuya Tokuda (Monster Hunter: World), mention keiichiro Toyama, Gravity Rush 2, and Fumihiko Yasuda (Nioh). During the shooting, the developers share their personal vision of the development of the japanese and the success of the scene, the east has gotten in the last few years, also thanks to a return to the dust of companies like Capcom. At the same time there will be space to tell the story of the illustrator and character designer Akira “Akiman” Yasuda, the author of iconic characters such as Chun-Li and Guile of Street Fighter. Backed by thirty years of honored career in the video game industry and the animation, the artist has contributed to franchises such as Final Fight, vampire hunter, and the already mentioned Street Fighter, getting in touch with the reality that western Rockstar at the dawn of the franchise of Red Dead. The first day of screenings will conclude with “Playing Hard,” Jean-Simon Chartier, a journey in the meanders of Ubisoft for what concerns the realization of For Honor. The film tells the story of the impact that the development of video games has in practice on the life of a professional, with everything that goes with it in terms of deadlines and pressure from knowing how to manage. The material is aimed at an audience of players that an audience is more generic, in order to describe some of the dynamics that govern one of the sectors most vibrant and growth in the field of entertainment. On the 19th of march will open the program “Hours Played” Duncan Robson. The work is inspired by the openly The Clock, Christian Marclay’s video installation exhibited at the Art Biennale of Venice of 2011, which put together about 12 thousand film clips containing references to the passing of time. In this case, the same approach was applied in key in video games. Followed by “Unforeseen Consequences: Uncovering the Legacy of Half-Life, which celebrates the twentieth anniversary of the masterpiece of the Valve with an investigation of the heavy legacy and the continuing activity of the community a time to keep the memories alive. In the teaser you can see the actions of the characters rather well known in the industry, contemporary as well as Cory Barlog (Santa Monica Studio, the journalist and producer Geoff Keighley, Vince Zampella of Respawn Entertainment and Randy Pitchford of Gearbox Software. “We have not been able to talk with the developers, so we talked with all the others,” the authors write in the description that accompanies the interesting teaser trailer. “Join Noclip on a journey through the Country to meet the developers, modders and players whose lives have changed in the twenty years that passed since the launch of Half-Life”. The second day of screenings will close with “Gamechangers: Dreams of Blizzcon”, a documentary directed by John Keating, you enter the world of esports, and describing it from the perspective of two of the best players in the world of StarCraft II. With a careful work of mounting and an original soundtrack, the movie will transport fans behind the scenes of the sports, electronic, bearing witness to the life-style of professional players, but also the difficulties and pressures that these guys face to be able to stay on the crest of the wave. The third and last day of the GDC Film Festival is to offer “The Name of The Game”, Paul J. Vogel, and Jarno Elonen, a documentary that takes fans on a journey to discover the work of Eugene Jarvis and the study of the Finnish Housemarque, to whom we owe shooter like Resogun, and Alienation, but also Dead Nation, Super Stardust HD and Matterfall. In this case, the story will focus on the three years in which the team scandinavian has worked on the creation of the acclaimed Nex Machina,the spiritual successor of the arcade shooter classic Robotron. Closing the program will be “The Artists: The Untold Stories of the Pioneers Behind the Pixels, directed by Peter Mishara. In this documentary are in-depth the first three decades of video game history through the experiences of designers, developers and programmers who have contributed to redefine the foundations of pop culture. In the assembly were included interventions to Nolan Bushnell, Allan Alcorn, and David Crane on the birth of Atari, Trip Hawkins and the creation of Electronic Arts, Chris Crawford and the GDC, John Romero and Tom Hall for the creation of Doom, Dave Lebling on Zork and Tim Schafer for the period, and LucasArts.